After seeing how interested you guys are reading journal updates on my MASAR journey (thank you <3), here is entry number 2. This will be based on our time at the British Racing School (BRS) where we spent a good 5 weeks there learning about SO MANY THINGS! As a Centre of Excellence for training in the horseracing world, we aim to provide a range of training of the highest standard to meet the needs of the racing industry, and to meet the needs of our learners. We had two wonderful instructors, names AGGIE and RAY who took us through not only riding lessons, but also academic lectures, and processes of the racing industry. We started off on the simulators to learn and get a feel for the post position and learning how to stop. Riding race horses is extremely different than riding jumpers! In order to hold the post position throughout the whole ride, you really need to be physically fit. Therefore, the BRS organized a whole fitness program for us to enhance our strength and endurance. Since my accident, I barely rode another horse other than Tofino and Alinn, so getting on a race horse made me rather anxious. I was lucky enough to get an amazing ex race horse called GEE MAJOR who was the sweetest and looked after me very well ❤ I did have to ride multiple other horses after him, but he initially gave me the confidence boost I needed and I am forever thankful. After riding in the indoor, we managed to get into the outdoor ring which was bigger, allowing us to go faster, encouraging us to use the techniques we used in controlling the pace. Deviation was one of the horses I rode who is a big gentle giant that is a lazy bum, but always makes you feel safe. I loved him too! We also got to dissect a horse leg which was so amazing to see how strong, yet fragile these amazing beasts are! Getting to see how they move and work from the inside really allows you to understand not only the anatomy, but also the functionality of a horses leg. They literally do not have any muscles under the knee, and rely on the frog in the hoof to pump circulation back up the leg. Amazing huh? Presenting your horse for racing is big part of a barns reputation. We had a Best Turn Out competition where we were separated into three groups of 3. My team and I selected our horse carefully (KINGS-GATE NATIVE), checking for a good baseline coat, good movement and confirmation. We then had to get working on cleaning his tack, grooming him, plaiting his mane, cleaning his nose, ears, tail, hooves and shining them, and applying his turn out gear. And guess what? My team won :p all thanks to great teamwork that we were able to communicate well to each other and assign tasks according to our strengths. Attending Tattersalls and understanding the process of selling a racehorse works was very interesting and surprising I must admit. Firstly, the venue is historic, which was within itself beautiful to see. Secondly, it was fascinating to see how bidders bid on a horse and what they look for: pedigree, conformation, character, gate, etc. We also attended The Craven Meeting with our trainers and learnt how to read the racing cards here in the UK as they are different from back home. It was super exciting when the first race was a win for Godolphin with AURUM. It has been such an amazing adventure, I can never stop saying that! We finished from the BRS temporarily and head back there mid year in order to do our level exams. The results of my Instagram poll showed that you guys are interested in following my journey through the MASAR by Godolphin program. Firstly, MASAR is a program established by His Highness Sheikh Mohammed bin Rashid Al Maktoum. It is a 10 month program concentrated on the Thoroughbred Racing and Breeding Industry in Dubai, UK, and Ireland, in order to create influential leaders in the UAE. This is delivered through different modes of education, from academic classroom lectures, to experiential training, shadowing, and work experience. The recruitment process was rather stressful, as it is a process of elimination. It starts off with an online application which includes an essay, then an online interview, an assessment day, which consists of team exercise, test, presentation and a one on one interview. Once we were chosen, we had some time to get to know one another, jumping straight into team building exercises and positive dynamics. After a tour of Godolphin stables and getting to know the team, we started attending the races at Meydan Racecourse, where we were all assigned horses to report and officially introduced to the media as the MASAR 2018 batch. Aside from our weekly races, we attended academic lectures on Equine behaviour and nutrition in order to get a slight understanding of horses before heading to the UK. Research topics were established for us in order to prepare different papers and presentations on a variety of topics related to the thoroughbred racing and breeding industry. These research papers are consistent throughout the 10 months in order to further enhance not only our academic writing skills, but also our knowledge on the topics, and our presentation skills. We also went through a rigorous fitness test which put a benchmark on each of our fitness levels as riding is very a strenuous sport. This also means that our diets had to be adjusted in order to get the best out of our bodies and keep them healthy and fit. A riding assessment held by the British Racing School was done in Dubai, in order to see where our levels lie as riding thoroughbreds is part of the program. I was approached by a company named HORSELY, from Australia, at the beginning of this year in order to do a review collaboration. Firstly, their website, and items are absolutely adorable! They offer equestrian shirts, jewellery, pillow cases, bags, home decor, and of course, belts. The detail is impeccable. I have not had any loose stitching or wear or tear yet and it has been two months so far. 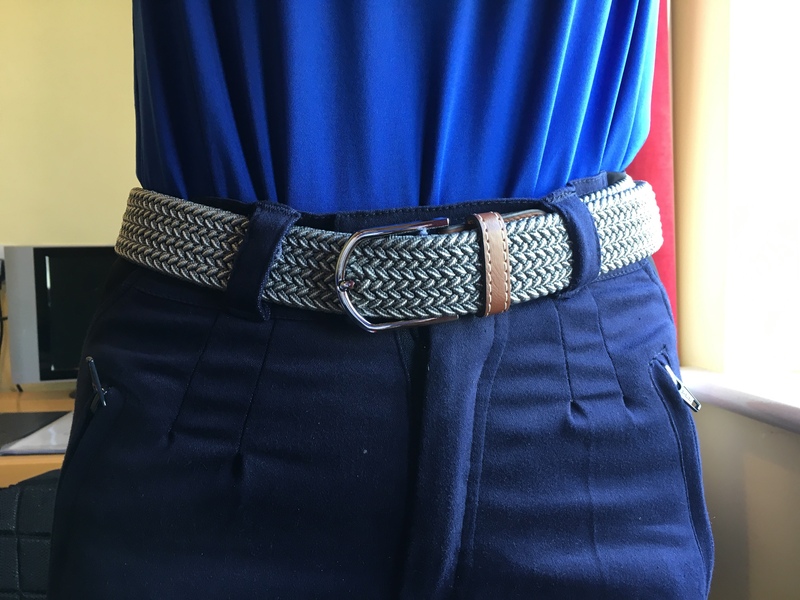 This belt comes in different size options and is NOT stretchy. 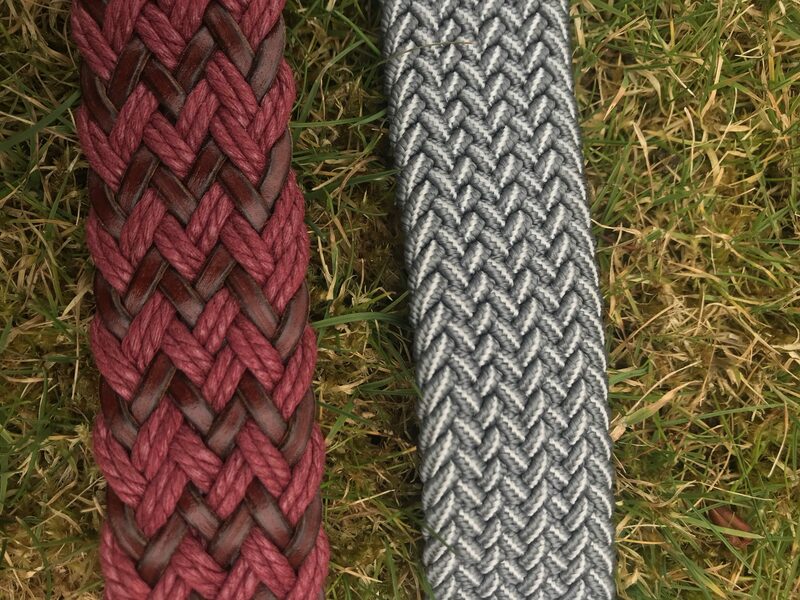 It is made of German leather and wax rope. It is slightly wider coming in at 3.4cm which doesn’t make so much of a difference. 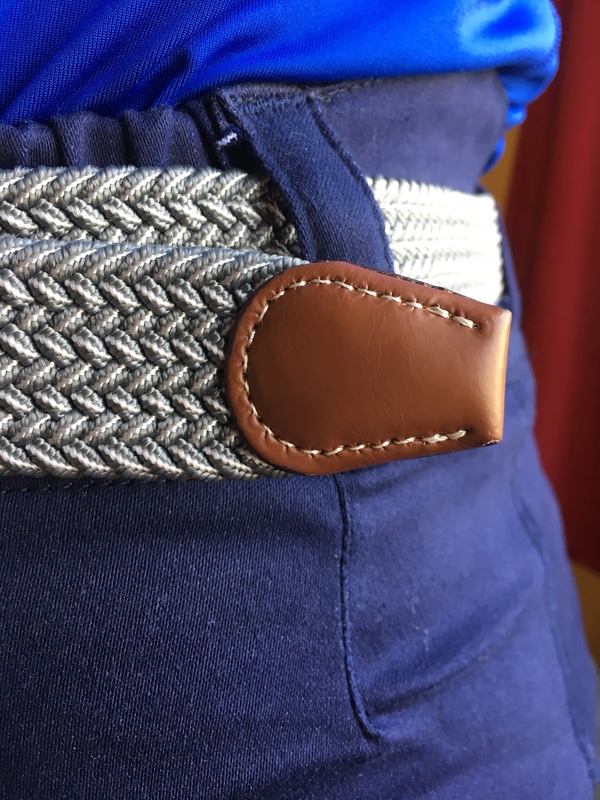 I find it sits nicely on any pants without having to readjust as you do with the stretchy material, however, the quality of the ends didn’t feel as sturdy. There is no contrast stitching it is simple and classic. 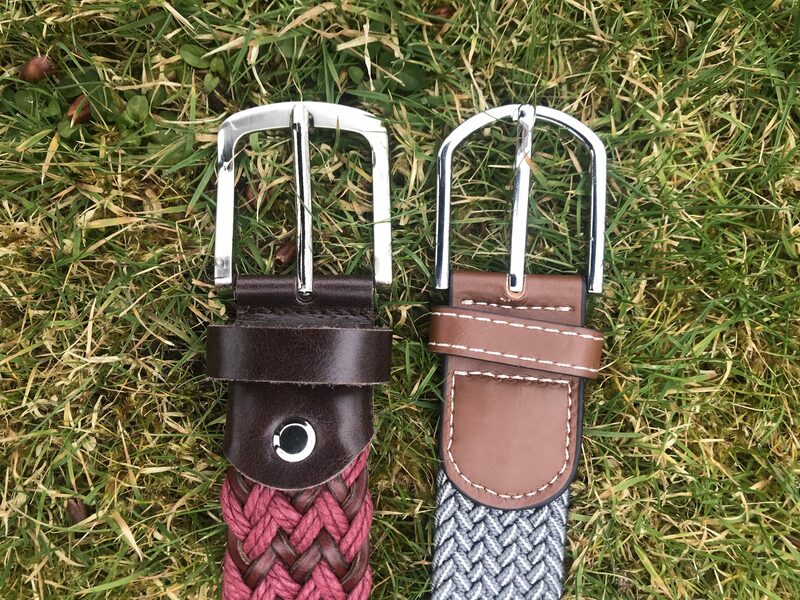 Verdict: I love these belts, I think for the price, you really get what you pay for and with the endless colour options and sizes you,re bound to find the style that suits you best. I like them both, but prefer the stretchy only because I felt that the quality was slightly more superior, even though it fits bigger on me. He’s got an amazing temperament and super friendly. He’s a school master and an ex show jumper and has taught me so much! Winter here in the UAE isn’t very cold but can reach as low as 10 degrees C at night. Since it’s mostly hot throughout the year, the horses still feel the difference this weather causes. In the summer, I wrote about surviving the summer heat, and decided to write one up for winter. 1. Increase food intake: The more they eat, the more of an internal furnace they have. Horses expend significantly more calories keeping warm in the winter, thus, are likely to lose weight if food intake is not increased. 5. Increase exercise: This will help them stay warm and keep their muscle mass. 8. Hoof care: Clean hooves daily, and apply water repellent to protect from mud fever. I use PlusVital.